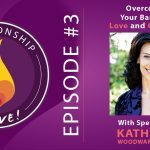 Have you ever felt stuck, within yourself or within your relationship? Have you felt the effects of depression or anxiety as a result? 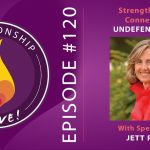 You may know that intimacy is important – but today we’re going to show you how intimacy can help you heal your traumas and attachment injuries – so that you can get unstuck. 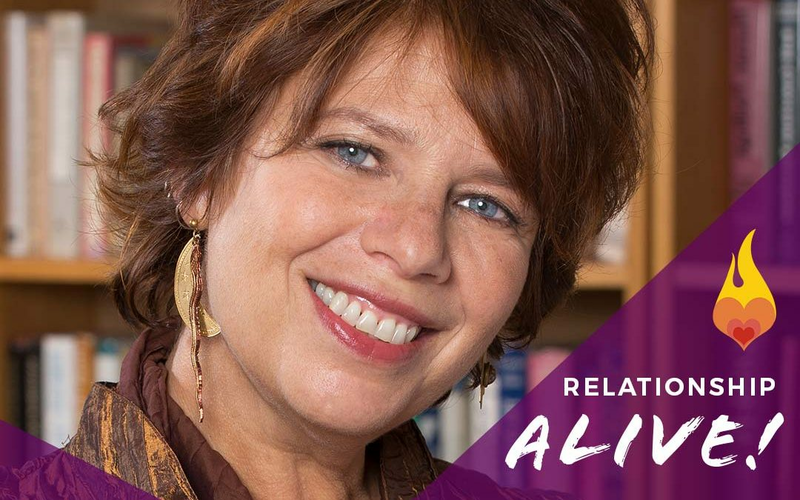 This week, our guest is Diana Fosha, PhD, the developer of AEDP (Accelerated Experiential Dynamic Psychotherapy), a healing-based, transformation-oriented model of psychotherapeutic treatment. Diana Fosha is the Founder and Director of the AEDP Institute, and the author of The Transforming Power of Affect: A Model for Accelerated Change. Diana shares how she creates intimacy in a therapeutic setting and how that intimacy and safety helps clients make huge transformations in terms of their experience of their own lives. Our sponsor today is Audible. Audible has the largest selection of audiobooks on the planet and now, with Audible Originals, the selection has gotten even better with custom content made for members. As a special offer, Audible wants to give you a free 30-day trial and 1 free audiobook. Go to Audible.com/relationship or text RELATIONSHIP to 500500 to get started. Visit Diana Fosha’s website to learn more about her work. Visit http://www.neilsattin.com/fosha to download the transcript, or text “PASSION” to 33444 and follow the instructions to download the transcript to this episode with Diana Fosha. Neil Sattin: Hello and welcome to another episode of Relationship Alive. This is your host, Neil Sattin. You know, intimacy is a powerful thing, super powerful. It brings us together with our partners and enables us to achieve more than we would be able to on our own. And yet sometimes we get stuck and things don’t flow quite so well. And that could be a stuck-ness that happens in our relatedness, in our relationship with our partner, or it could be more like an inner stuck-ness, where you feel like you’re not being quite as effective as you’d want to be in your life, or you feel the effects of depression or anxiety; the kinds of things that hold you back where you know that you might not be shining your brightest. Neil Sattin: And yet intimacy has this amazing transformative power in how it gives us access to these deeper parts of ourselves. And I’m bringing this up because today’s guest is a master of creating intimacy in a therapeutic setting, in a way that helps clients make huge changes in terms of their experience of their own lives. The name of her therapeutic modality is AEDP, or Accelerated Experiential Dynamic Psychotherapy. Now that sounds like a mouthful. It is a mouthful, but what you are going to discover in today’s episode is just how simple it can be to effect profound transformation, all through harnessing who we innately are as humans, as feeling creatures. Neil Sattin: And I know we’re called homo sapiens, we are people who know, but I believe that it’s also important to acknowledge how we feel and that our feelings, as many illustrious people before me have noted, are part of what has allowed us to adapt to our world in ways that are beneficial to our survival and also to our enjoyment of life and living. So today’s guest is none other than Dr. Diana Fosha who, along with being the creator of AEDP is also the author of The Transforming Power of Affect: A Model for Accelerated Change. And her modality uses attachment science, interpersonal neurobiology, to help therapists, again, create amazing changes, or facilitate amazing changes in their clients. And I think there’s also a lot that’s useful just for us to learn here about how we operate as people, that we can take into our lives and into our relationships in order to enhance our experience. And we’re even going to talk about that process of enhancing our experience in today’s conversation. So I think that’s it from me, along with just mentioning that if you want a detailed transcript of today’s conversation you can visit neilsattin.com/fosha, F-O-S-H-A, which is Diana’s last name. Or as always you can text the word “Passion” to the number 33444 and follow the instructions. 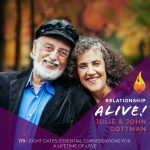 I think that’s it, so Diana Fosha, thank you so much for being here with us today on Relationship Alive. Diana Fosha: Such a pleasure to be in conversation with you Neil. Thank you so much for the invitation. Neil Sattin: You are most welcome. And I hope I encapsulated everything in a way that… That makes sense, but we are of course going to dive in a little more deeply and help everyone understand what AEDP is all about. Diana Fosha: You are absolutely did a stellar job, and it’s actually a wonderful thing to sort of hear my work sort of mirrored and condensed in that way, so I think we’re off to a good start. Neil Sattin: Excellent, excellent. Well, to condense it and mirror it even further, because I’ve had people ask me, “What is that?”, and “What’s that big book you’re reading?”, because I’ve been carrying around The Transforming Power of Affect with me for probably the better part of the past month, and “Who is this person?” And the way that I’ve explained it to them is that by creating safety in the therapeutic setting, so a therapist creating enough safety so that you can experience the core emotions that contain within them the power to transform your experience. Neil Sattin: Well, let’s talk about how we get there. And maybe you could start by talking about your stand, because it’s clearly super important to you that a therapist be able to participate actively with their clients, as opposed to what I think we tend to think of with our therapist, which is that they’re more passive or receptive, or maybe they validate, but they’re not necessarily down there in the trenches with us. Diana Fosha: Right. And I’d be happy to talk about that. And I want to sort of just take one step back to sort of… To the… Another what I think of as really essential aspect of the model, and then we’ll go to the stance and then get more deeply into it. And what I want to say is that, in addition to the safety that you talked about, in terms of the safety to really have people feel safe to come forth with their experience and who they are and then process those emotions, I would say that the most sort of core, core, core, fundamental assumption is that healing resides within us, that it’s there from the get-go, side by side with the suffering, the stuck-ness that you talked about in your introduction, what have you, trauma, depression, difficulties in relationships, whatever it is that brings people to therapy and accounts for their not being fulfilled or shining as brightly, again, as you sort of said it in your introduction, that side by side with that, always, there’s a capacity for healing that’s just absolutely wired into us. Diana Fosha: And I think that’s just something that’s the guide, and an assumption that actually allows me to sort of sit with whoever I’m working with, just in a confident or comfortable way, that what they need is already… So much of it is so deeply within them, if we can just bring it forth. So with that, as I was going to say it in the background, but it’s not in the background, with that as a foundation, I think that my stance as a therapist, is about creating a relationship, that the safety really comes from the fact that we actually are two people in the room and acting in that way. And that I consider myself part of this healing diet that my patient and I formed together, and that my experience and my responses, not just my thoughts and not just my words, are really part and parcel of what we’re co-creating, that allows the person, hopefully, to start to feel safe from very, very early on, at the beginning. Neil Sattin: Yeah. Yeah, you speak very eloquently in your book about the importance even of, right from the beginning, of the first session, to be creating that context of safety and being in it… Co-creating the process. Diana Fosha: Yes. I really spend a lot of time… I do a lot of training of therapists, and one of the things that I like to talk to them about is that the first session is sacred and it’s sacred in one very, very particular way, it’s the only encounter that we will ever have that has no history, that we’re creating history in that first meeting, we’ve come to it with no history of each other, even by the second session, we already have an established way of being, not that it can’t change, not that it can’t be altered, I don’t mean that, it’s not fixed, but it’s history. Whereas in the first session, you have this unique opportunity to define the relationship in particular terms, so that I think it’s incredibly important. So that in AEDP, the first session is not really so much devoted to, “Tell me where you were born,” and, “How many people are in your family?” and, “How many therapies, did you have?” that kind of history taking, which, of course, is important, because it captures information. But that information is there for the acquiring in the second session or in the seventh session, or in writing, or by a million different ways. But this unique interaction between us, where we’re sort of creating something together for the first time, it’s a unique opportunity; so therapy really starts from the very, very first moment of that very first encounter. Neil Sattin: It reminds me of a first date. And sometimes that can be a degree of pressure that people don’t really like. But it’s really true that before that moment, you don’t have any idea about that person, or do they of you. And what I really like is that you’re honoring the fact that you’re creating a relationship by going to see a therapist. Diana Fosha: Exactly. Exactly. And in a way… And I like the first date analogy, it’s a little bit easier in some ways, in that there’s one person who’s sort of in charge [chuckle] So it’s not both people, sort of in one way it is and it one way it isn’t there, that’s why we have roles, and that’s why you’re going to see a therapist. But it has some of that unknown and potential and excitement, as well as terrifying aspect; being vulnerable with a total stranger who, by the second meeting, will not be a stranger anymore. Diana Fosha: I think that it’s so crucial, and of course, it’s implicit in any relationship, or in any therapeutic relationship. Yet the strange thing is that merely by being with another person, whether in conversation or in relationship, does not necessarily automatically translate into not feeling alone. And actually, I think, one of the most painful ways of feeling alone is feeling alone in the presence of other people. So that… One of the things that I’m very, very, very conscious of is to actually explore together with the person that I’m working with, who I’m working with, what their experience is of are being together; if it feels like we’re being together, and if they feel accompanied. Diana Fosha: If they are aware, that as they’re sharing something, or saying something, or feeling something, or not thinking something, and saying it out loud, it’s actually being registered by another human who’s there with them. And that’s… To actually be able to have that experience of not feeling alone as you’re going through something, is just very powerful and potentially very therapeutic, in and of, of itself. Because I think, as you’ve said, so much of what becomes our suffering or various forms of it, really has something to do with our aloneness, and either the fact that there’s nobody that we can share it with, or the fact that we’re experiencing something that absolutely overwhelms our resources, that were we there with somebody else. Diana Fosha: The trauma was… Would be as horrible, that our capacity to bear it or deal with it would be quite different. There’s very, very interesting research that shows that for people who are in combat, if they have a buddy that they’re going through the combat experience with, their chances of getting PTSD are significantly reduced, and that kind of finding is present in many, many other settings. Another… Just to mention one other, and sorry, because you were about to say something, there’s also a similar kind of research that during World War II there were all these kids who were orphaned as their parents were taken to concentration camps and they were actually in a therapeutic home school run by Anna Freud and this other woman named Dorothy Burlingham, and they studied these orphans. And what they found out is that, again, with those kids who had somebody they were close to, a sibling, or a friend, or somebody really whom they felt bonded, were much less traumatized by these most devastating of experiences that they were going through, and this actually influenced the therapy. Neil Sattin: What I was going to say is… What was striking me in that moment was how we’re here to talk about relationships, and it’s always such a big irony when things start to get a little uncomfortable in relationship, how, theoretically, you’re there with another person, but you can feel so alone. And I think that that’s part of what we’re trying to overcome when there are issues in a couple, is to remember that they are also there for each other, they’re on the same team, they are each other’s buddy, which hopefully helps them survive without too much trauma that they’re inflicting upon each other from that stuck place. Diana Fosha: Exactly. Exactly. And of course, that so many couples who come to therapy are in a couple, but the difficulties have been such that they have been feeling very alone. So that’s really the paradox, that if we’re just able to sort of recognize that presence and share enough of ourselves that the other person also feels us, we’ve already done something very significant. Neil Sattin: Can we talk for a moment about what is it about this model that… Where does the healing take place? And in particular, I’m thinking about the difference between our core affective emotions and other things that come out as more like our defenses, our defensive strategies. Diana Fosha: But I’ll try to actually reduce it and condense it, even from the nine. I think that sometimes what we have been talking about, which is the experience of having one’s alone-ness undone and feeling seen or feeling cared about, or just validated or understood, that in and of itself can be so profoundly transformative, not in and of itself and not forever, but those kinds of moments have tremendous power, so I think that’s one piece. I think the other that you were beginning to talk about, which is that when we can’t process, we can’t fully process or express them, feel them, express them and do something about our emotions, either because they’re overwhelming or because we’re in environments where our core emotions are met with criticism or with ridicule or what have you, we do develop these kinds of protective strategies and… Which work beautifully in the short term; you don’t get hurt, and you don’t get shamed, and you don’t get overwhelmed. Diana Fosha: But over time, by relying on them, they sort of… They form almost like a crust, a… Or a shell over our hearts and ourselves. And they become sort of like the I who we present to the world, and that person is not authentic or is not our true authentic self, so that just in being able to break through or let go of those protective mechanisms that protect us but also limit us, and have the courage to be vulnerable and touch our emotions, and start to experience them and express them and process them with another person, is another huge transformative opportunity, particularly because those emotions are wired into us to help us. I mean that’s why they survived over so many eons and eons of evolution, they’re really good for us, even though they’re difficult. So that’s the second piece. Diana Fosha: And then, I think I’ve said… So that’s sort of three. [chuckle] And I’ll mention one other, which I’m sure we’ll end up talking about a little more, which is that in AEDP, in the kind of work that goes by that name, we do something very, very specific that, to my knowledge, is not done by any other therapeutic model, or it’s not done systematically in any case, which is this. That any time there’s a moment of change for the better, be it big or small, in a given session, we start to focus on the experience of that change, the experience of that moment of transformation. And we’ve discovered something really cool, which is that when you do that, the experience and the process of change or of transformation grows, and that in and of itself, is a huge source of transformative potential. Diana Fosha: Exactly, like, “Okay, now we did that, it feels better. Excellent. Let’s tackle the next thing.” [chuckle] Which is reasonable enough, except that there’s this other thing that can happen, that when we stay with a positive, when we stay with this thing that has just changed, and just gotten better or that feels right, these amazing, cool things happen when we do that. Diana Fosha: Like that feeling of something right growing, and it grows in a way that we can feel it in our bodies, literally, that we start to feel our chests expanding, or we start to feel this kind of streaming of alive-ness; so that’s one aspect of it. And another aspect of it is that one feeling of something feeling right or good leads to another; pride can lead to calm, which can, in turn, can lead to joy. It varies from moment to moment and from person to person, but all of a sudden it’s like you start with a little nugget and it just… Or you start with a seed, there are so many metaphors. And if you sort of nurture this particular seed, it just blossoms, right? We have this term, “flourishing,” and I think that’s, for me, one of the coolest things about the therapy, which is that people come in because they’re suffering and they want their suffering relieved, and that’s certainly a fundamental aim of the work, but it doesn’t stop at relieving suffering, it continues, sort of organically, seamlessly, moves into also creating flourishing, this kind of from little seeds of growth or little seeds of change, and letting them flower. Neil Sattin: Right. And it makes an intuitive sense to me. And I’m reminded of, I can’t remember who said it, but someone said something about how you get rid of darkness by shining the light brighter and… But not by taking away the darkness, and… So it makes me think of that, that the more you amplify the flourishing and allow that to grow organically, and that brings up a question for me, but the more that you do that, the less room there is for the shadow, the dysfunction, to be there and to be a problem. Diana Fosha: I think that’s true. I think that’s true. Yeah. Neil Sattin: So the question, the question was, and I do want to go back to core affective emotions, but before we do, what are some ways… because I don’t know about you, but I’ve been in situations where someone has shone a spotlight on how good a time we’re all having and it’s actually doesn’t amplified, in fact, it feels almost inauthentic, or like that person is somehow kind of removed from the moment instead of actually they’re participating in it with all of us, so what are the qualities of shining a light on positive change, or on a moment of goodness that actually help create resonance? Diana Fosha: Right? Because the actual experience of not having the depression, or not having the uptight-ness, it’s nice, but if that’s what you’re used to, and like if you’re wearing a tight shirt and you’ve just worn that tight shirt all the time, it’s so nice to take it off, but it’s also so strange, if that’s what you’re use to. So we’re just… That’s what we’re processing, we’re processing the person’s very sort of granular and very specific experience. And as to your point, it’s not just a linear process that one good thing leads to another, it can very often lead to another defense or another block or all of a sudden self-consciousness or embarrassment or anxiety. I mean it can go one thing… I’m sort of theoretically talking about what can happen and often does. But sometimes we’re as uncomfortable and as embarrassed when we’re feeling positive things, they feel exposing. Alright, so then there’s another round of work, be it with protective mechanisms or shame or other traumatic issues that can be brought forth by the positive emotions. So it’s not like the A leads to B leads to C leads to D. It’s very… The process is very individual and the safety isn’t staying very connected to what each person’s experience really is. And welcoming it, welcoming it whether it’s good or whether it’s difficult. Diana Fosha: Right, what’s this like for you? Diana Fosha: Right. It’s asking the question, knowing to ask the question and not assume and then really listening to what the other person has to say, because our experiences are so specific to us, and those assumptions so often turn out to be surprisingly not true for the other person. Neil Sattin: Yeah, yeah. And that’s so much I think about what excited me in reading more and more about AEDP. And, you know, actually I was like looking are there any AEDP therapists in Maine. There aren’t many actually, which is where I am. But I definitely want to experience it. Because again for me, I’m experiencing this more on a gut level that the power of being held that way in a therapeutic setting of being accepted, of having someone see me of being… Having someone there with me, and allowing me to get at whatever I haven’t been able to quite get at before, and where my defensive structures and protective structures might be getting in the way of me just doing something simple like getting my to-do list done in an organized way. Neil Sattin: Right, hook me up, Diana. Diana Fosha: Absolutely, absolutely. I’m doing the match-making. And we do have a therapist directory. But I appreciate what you’re saying, it’s a powerful thing. Neil Sattin: Yeah, and so let’s talk a little bit more about…because we’ve been generalizing about particular kinds of emotional experiences that contain within it a lot of resource. It’s resource for how we show up in the world, how we show up with our partners, how we fuel creative endeavors, but they’re not… It’s not all… It’s not all joy, right? There are other emotions there that are important in terms of their power for us. Neil Sattin: Right, you even talk about how that can… And this… I read this and I was like, “Yes, of course,” how that can come up in a therapeutic setting where something great has just happened, and then, rather than that feeling amazing, you can feel this overwhelming sense of grief for all the missed opportunities or times you didn’t feel that when you were younger, and how important it is to be nurtured through an experience of grief or mourning around those losses. Diana Fosha: Exactly. Exactly. And to just recognize that actually, particularly if we’re not alone and we’re supported and that grief can be witnessed as we’re feeling it; actually something very, very important happens, that in going through it and going through the process of mourning or feeling our sadness or grief, there’s actually… When we come out the other side, there’s a tremendous feeling of relief, and… I can feel it sort of as I’m saying it, that I almost feel my chest expanding and I feel… I feel my heart and all of this kind of energy is not going into containing something but actually feeling it. It’s almost like you see a movie or a play that’s deeply emotional, and you’re crying, and then you come out, and there’s an openness that comes in the wake of the grief, whether it’s perspective or acceptance, but there’s just something about… Our organism needs to mourn when we have those losses, and that’s part of what psychic health really is. And when we just reflexively tighten up not so as not to feel it, we’re putting all our energy into containing something that’s natural; it’s difficult but very profound and important. Neil Sattin: Yeah. Something that feels important here is how all of these deep emotions, when you experience them, you get to metabolize them, and I think that’s not always clear to us that…because grief… The prospect of mourning something important, the loss of a relationship or a loved one, or a friend, or an opportunity, it can feel like, “Well, how will that… How will going through that pain help me?” so I’m going to, instead, I’m going to just pretend I’m okay, or like I got over it. Diana Fosha: Right. Right. Right. And it’s sort of… That’s what I mean, that these are very sort of powerful wired-in emotions, we have them; people all over the world, regardless of culture, experience grief and anger and sadness, and fear and joy; these are just sort of wired into us, and they’re also wired into mammals. They’re very, very powerful experiences, and if we don’t fight them and we experience them, and metabolize them, then we’re able to really come to terms with whatever these experiences are that evoked them and realize things. So I’ll tell you something… A story comes to mind of work that I did many, many, many years ago, pretty early in my career, when I was working with a man whose father had died when he was a young boy, and he was left very alone with that experience. There was the belief in his family that he was too young, and therefore, nobody talked to him about it, I think under the good intentions of saving him pain; again, misguided intentions. Diana Fosha: He wasn’t allowed to go to the funeral, so he was really… And by the time I met him several decades later, that wasn’t the only thing, of course, but that was a major aspect. So he was a very numb person, he was very numb and dissociative and so on and so forth, and quite, quite distant and disconnected from his feelings, and he couldn’t have… It manifested in his not really being able to have intimacy in his relationships. So after some time, we were finally able to make our way back to the little boy, he was seven or nine or so, I think, when his dad died, and he really was able to feel the grief and the fear of those early experiences, I think, for… Really for the first time, or one of the first times, certainly first time with somebody, and it was really, really deep sobs and deep pain. And I just have it as clear as if it had happened a week ago, or yesterday, of his weeping and the wave of tears ending, and his sort of breathing deeply and looking at me and starting to sort of calm, and his saying, “I have to go sit at the grave of my father,” which he had never done. Diana Fosha: And that there was something about the power of that moment, of that knowing of what he needed to do, that only came after he went through this deep grieving. Neil Sattin: I’m feeling really moved by that, just imagining that person’s experience and the power of that, and it makes me wonder how do we know if we’re safe enough to go there? Is it a knowing or is it more like a deeper knowing where… I’m not even sure I’m articulating this question well, but I’m thinking about how often we end up in relationship because the dopamine and oxytocin and that potent cocktail, that… Of bio-chemicals that we get to experience when we’re together, it gives us that illusion of safety, and often there’s even the sense of like, “I can tell this person anything,” or, “They see me more deeply than anyone ever does.” And then part of the reckoning that comes later is trying to establish true safety, and I’m just wondering, yeah, how do we… If our goal is to really foster that safety where we are allowed to go to those deep levels of experience and come out the other side metabolizing them, what… Yeah, how do we know that we have that? 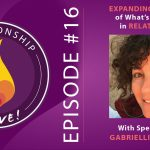 Diana Fosha: You don’t mean just in a therapeutic relationship, you mean really in the relationships that we have? Neil Sattin: Right, because so many of us are trying to heal attachment wounds, right? And especially with our partners. Diana Fosha: Right. Right. I think a couple of things sort of come to mind in response to that, I think we… That’s how we gain experience, is that sense of when we go to those deep places, how the person that we’re with is able to respond and they can listen and empathize and be there with each time one of these things happen in small ways or large ways, I think that increases our sense of safety and vice versa, that sort of heavy cocktail that you’re talking about of early days and… You know and then being willing to be really, really vulnerable to only discover that that person then sort of shuts down or disappears or gets critical or… Right? Diana Fosha: So, but then, which are… They’re both very not unusual experiences, and I think the learning and the intimacy is forged through caring about getting better at it and repairing and owning our mistakes and trying again and being willing to risk again, because I think what’s… And that takes me back to what I said at the beginning about the healing within, the great big assistant all of that is that while we want to feel safe and need to feel safe and we spend so much effort protecting ourselves, there’s another way in which we want to be known, we want to… We also, much as that gentleman I was talking about had spent 40 years in numbness and dissociation, when he finally felt safe, there was also something in him that needed to grieve and wanted to grieve. So it’s both; we need to feel safe, but we also want to feel known and that pushes us to take chances and be vulnerable and also, the importance, and this is what I want to emphasize, whether it’s therapy or… And/or life, to learn to repair, because we sure as hell don’t get it perfect we’re just right so much of the time. Neil Sattin: Yeah, that must be an amazing part of your training for AEDP therapists, is that art of repairing with their clients when they haven’t made quite the right step, in terms of an intervention or a noticing. Neil Sattin: Yeah, that willingness to be vulnerable that way, as a therapist or as a partner, to say, “Wow, I’m really sorry. I clearly messed up just then,” and to recognize, in that way, that you’re holding the well-being of the other person within you, and recognizing that you have some responsibility in that moment, for that. Diana Fosha: And I want to say another thing about that, that’s sort of specific to how we teach and train in AEDP, which is that we make use of videotape, we videotape our sessions. So first of all, that requires our patient’s trust in allowing us to do that, but patients really want to be seen and very often appreciate the fact that not only do they have their session, but that the therapist is going to look at the session again or… But it’s the willingness of therapists to be vulnerable in showing their tapes to their supervisors. By the way, tapes is a dated term. Neil Sattin: I love that even in your… In the book, The Transforming Power of Affect there are lots of clinical vignettes, where you describe work, and it’s annotated, so we know, as the reader, what’s going on. But I loved how you even annotated like, “Well, this was a place where I totally messed up,” or… It’s really helpful to see that. And then, to also see, after, subsequently, how… What you do about that, how you don’t just kinda go off the rails and stay off the rails. Diana Fosha: Right, or have to get it perfect all the time, because then we would [chuckle] be in very big trouble. Diana Fosha: Right. Right. Right. When you ask the question to which you really don’t know the answer yet. Diana Fosha: There’s actually a book that was written by a colleague of mine, which does a wonderful, wonderful job of talking about that, outside of the therapeutic situation. She actually uses examples from therapy, but she uses examples from therapy to help people identify their own defenses and their own emotions. It’s called, It’s Not Always Depression and the author is Hilary Jacobs Hendel, H-E-N-D-E-L. So that might be a very, very good recommendation about how to sort of apply this stuff to oneself. And I think the other is that we know… We know when we’re avoiding grief… Not always, but a fair amount of the time we know that we’re trying not to be angry, we know that we’re trying to pretend that we’re not anxious or afraid. I think there’s a fair amount of knowing what we’re trying not to feel when we’re trying to not feel it. Right? I’m talking about sort of ordinary interactions rather than sort of deep-seated drama. That sort of necessarily takes us to therapy. But in our daily interactions, I think we have a pretty good idea in some part of our mind are these core experiences, core emotions. So, we’re trying to not go near because we’re scared of them, or they make us feel just vulnerable. Diana Fosha: Right, right. If I weren’t talking so much now or if I weren’t just asking the other person questions about him or herself, what might I be feeling? You know, whatever one’s particular strategy is. Neil Sattin: My sigh in that moment is just a recognition of… As much as I myself am an optimist, I try to dwell in the gratitude and all of that, but I recognize yeah, there’s… There are a lot of places where there’s pain or there’s anger or there’s disappointment or… And I’m feeling for all of you listening, the blessing hopefully in allowing yourself to feel more of that, so that you get the richness that’s on the other side of metabolizing those things in your life. Diana, are you still there? Neil Sattin: Okay. [chuckle] You were so silent, I wasn’t sure if you had just been like, “And cut.” I really appreciate your taking the time to be here with us today. And what’s the best way for people who want to learn a little bit more about AEDP or therapists who might want to get some training in that modality. What’s the best way for people to find out more about you and your work? Diana Fosha: Yes, thank you for asking that. I think that we have a very rich website. The URL is http://www.aedpinstitute.org. A-E-D-P institute, one word, lower case. And there is a lot about AEDP. There are a lot of papers that people can download for free, by myself and by my colleagues who teach in the AEDP Institute. And there’s a lot of stuff on our trainings. I myself teach an immersion course, which is a five-day intensive, which I teach several times a year. The next one is coming up at the end of January in Florida. And there are other courses. We have skills courses and so on, and so forth. And we have a therapist directory [chuckle] where we might look for somebody that you or other people who are interested in this might see. And so I would highly, highly recommend that people who want to know more about it, either for therapeutic training, or just to learn a bit more about the approach really go to our website and has references to all of my books, and video tapes, and just a whole bunch of different kinds of resources. Neil Sattin: Diana Fosha, thank you so much for being here with us today. Such a treat to be able to talk with you. Diana Fosha: Neil, thank you so much. This was one of those conversations, much like we were talking about that doesn’t feel flat. And it goes to unexpected places, which makes it feel lively. And I’m really, really appreciating this chance to share this work. And you’re really having gotten to know it. So, thank you so much. Neil Sattin: You’re welcome. And the pleasure is totally mine I think. Well, maybe not totally, but quite a bit mine. Diana Fosha: I don’t think so. Very mutual.